Thanks to the 80 people who came along to the Richmond Yacht Club and shared their memories or signed up to volunteer on the project and making the afternoon so special. 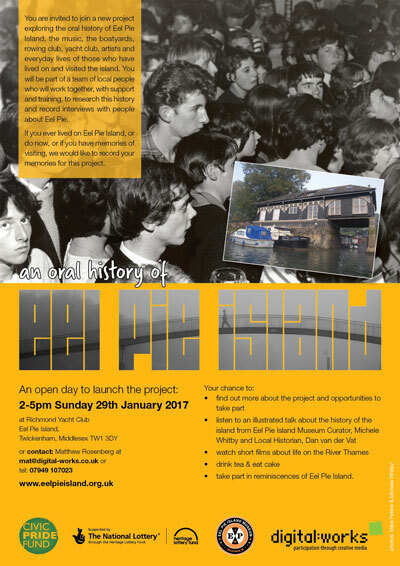 Michele Whitby displayed images from the Eel Pie Island Museum Collection to illustrate her talk about the musical heritage of the island. 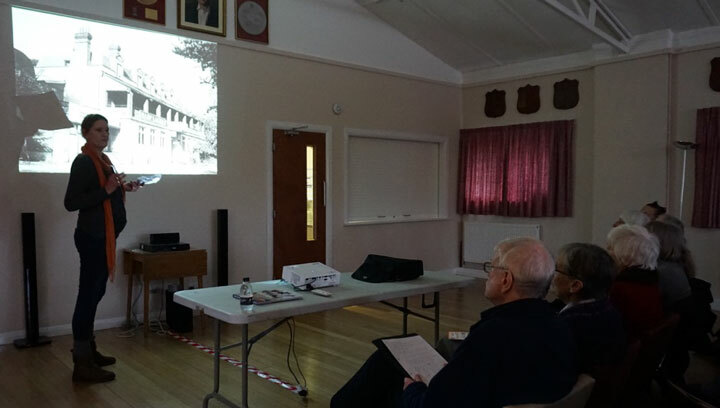 Dan van der Vat covered the Island’s wider history during his talk. Digital:works were able to show some examples of previous films related to the river and introduced the project to everyone. Don Craine of the Downliner Sect reminisced about playing the island and gave his support to the project. Following the formal proceedings people from the island chatted to people interested in the island’s history while partaking refreshments laid on by our volunteers Celia Holman and Clare Morrisroe.